To Microsoft’s credit it fixed the first – and worst – of these two issues within days. The color issue, however, has taken Microsoft considerably longer to get to sort out. According to the notes provided on the latest Xbox One system update (1804.180305-1900), though, a solution has now not only been found, but should already have rolled out to members of the Xbox One Preview Update Alpha program. 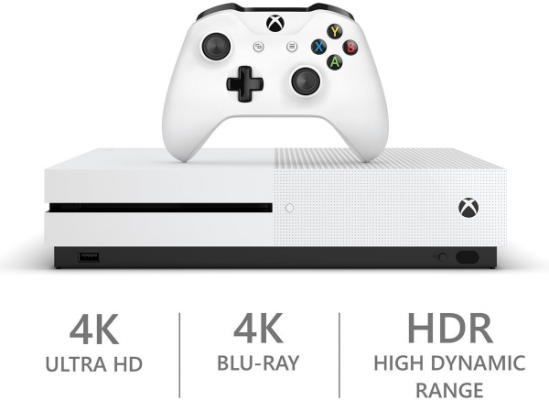 I also primarily use my Xbox One S primarily as an UHD Blu Ray player. One really annoying problem I have had since the most recent update is that volume control for my AV receiver stopped working with the Xbox media remote. I haven’t used the Xbox remote. Does it learn the IR commands for the AVR and link them to the buttons, or is it some other process? No, you can select what components you want it to control the volume and power. It has the IR codes stored and implements them once you make the appropriate selection. This feature worked like a charm when I first set up the Xbox and then became non-functional with the January update. There is no manual “learning” function for the remote. Are the MS store people escalating the issue for you? If the codes can’t be programmed, it has to be their issue. At least they’re doing something, and not telling you to pound sand :). For what it’s worth, Microsoft was completely unhelpful in this case. For a software problem they created, they suggested I pay to send in my console for service….I may have bought my last Microsoft product.